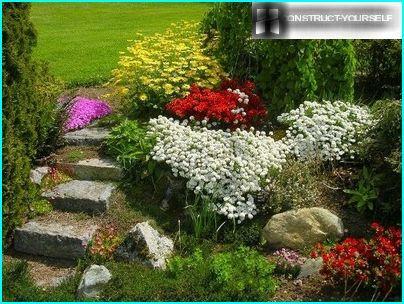 Rocky garden, decorated with a flower garden - quitecommon element of many gardens. 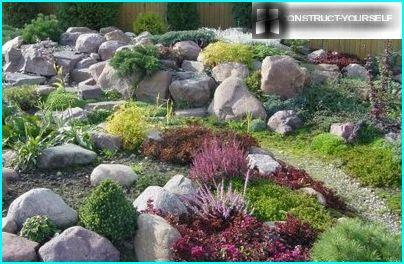 Decorative attractiveness and ease of care for rock garden served as the reason for such popularity of this element of landscape design. Climbing plants for the alpine slide is always visually enliven the rock composition, while retaining the effect of the natural mountain landscape. By creating a composition, preference should be given a compact and low-growing forms of plants which comply with the proportional size of the slides. The choice of plants to carry out with regard to their resistance to the conditions of the terrain: soil characteristics, climate. Choosing a place in the rooting, it is important to take into account the ratio of plants to sunlight: solar plots - for light-loving representatives of the plant kingdom, shadowed - for shade-tolerant. 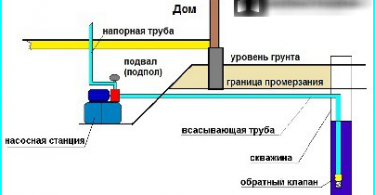 The intensity of the proliferation of certain types of tillering and - an important point defect which could lead to the death of "neighbors" is rapidly increasing mass of plants. Creating the composition is important to take into account the particulareach of the inhabitants of the rock garden plant in order to avoid "adverse neighborhood." 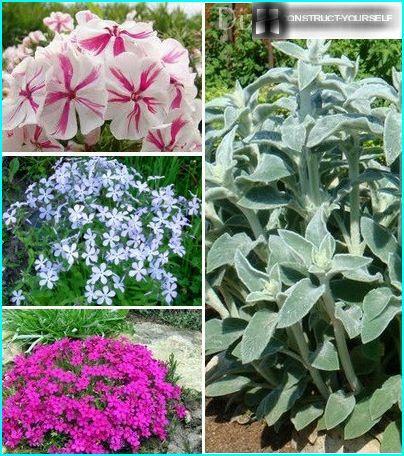 For example: very attractive and unpretentious in the care of chickweed, saponaria, Arabis and obrietta bad influence on their "neighbors". Seating is desirable to carry out a plant withtaking into account their "community of interest": they must be combined with each other not only in appearance, but the similarity of conditions for growing, the pace of growth and development, as well as the rhythm of flowering. 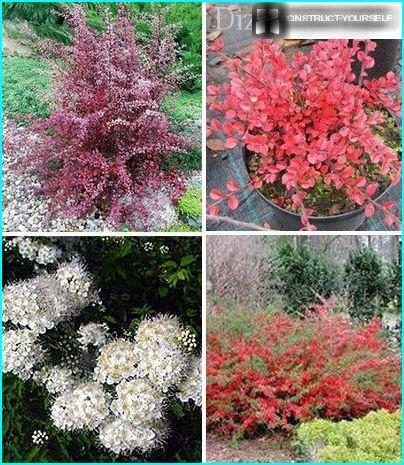 The ideal plant for "rocky garden"They are slow-growing trees and low-growing plants. Conifers for the alpine slides ensure high decorative composition throughout the year. 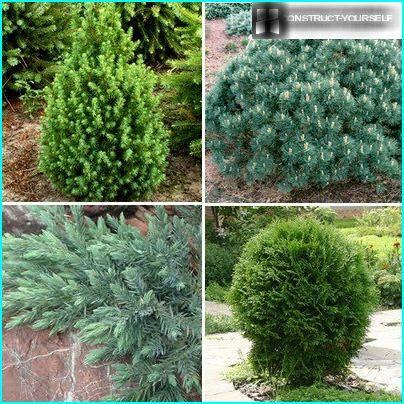 By combining in a single composition conifers with different crown shape and color of the needles, can significantly enhance the scenic effect. It is hard to imagine a rock garden without flowers. Flowering perennials for the alpine slides allow to give any garden a unique style and uniqueness. 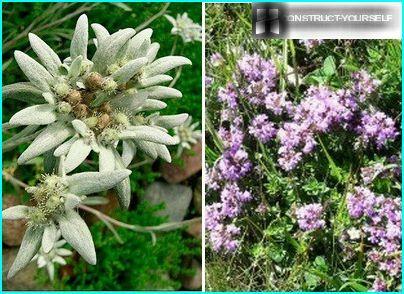 When creating a selection of tracks is not limited to plants, typical of alpine areas. The "rocky garden" will look appropriate and representatives of the plant world, the main habitat of which forests and coastline. 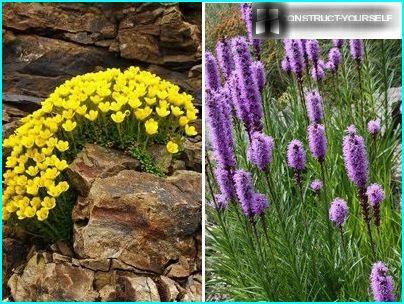 A striking rock garden decoration can be: saxifrage Arends, phlox styloid, Erica carnea, edelweiss, Alpine, chickweed Balearic, Iberis evergreen, bellflower, and many others. The upper tier "rocky garden" planted with asTypically, drought-resistant and sun-loving species of plants, because this area most open to sunlight, but the moisture in the soil is almost not delayed. 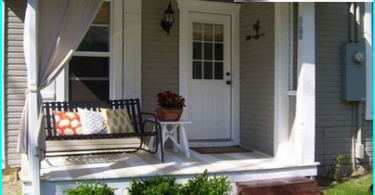 At the top of design compositions used ground cover plants. 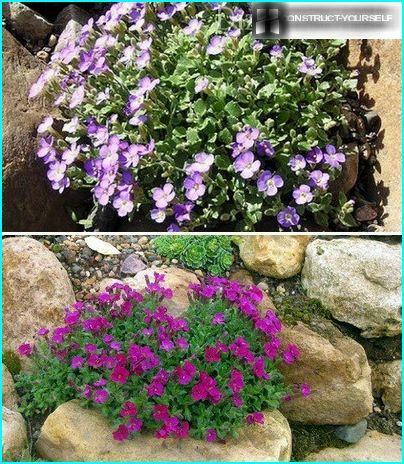 Decorate the middle part of the rocky hill canplants prefer sunny areas, but it is easy to carrying light shading. On average, a higher level of soil moisture. This makes it possible to expand the range of plants for the decoration of moisture-loving beauties. Noble silvery shades are also anafalis trehzhilkovy and wormwood Schmidt. 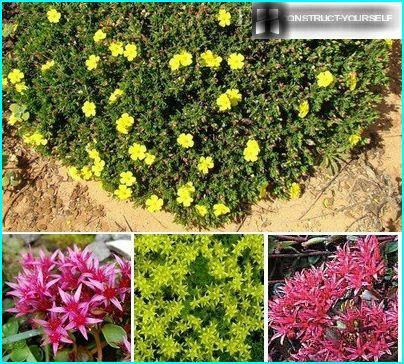 Obrietta - versatile plant for landscaping,because in addition to gorgeous blooms in the summer months, it has decorative foliage, color and juiciness of attraction which is maintained throughout the year. 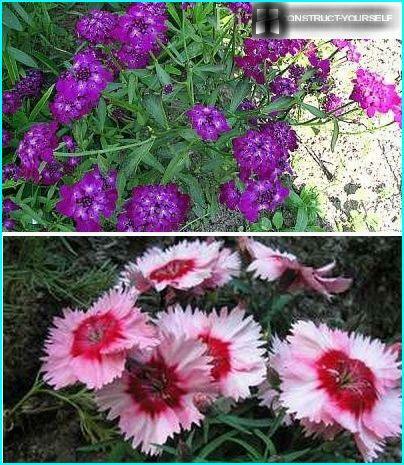 If you choose to include the names of colorsalpine slides, feel comfortable in our latitudes, the slopes of the hills can decorate all kinds of bulbs, a variety of Heuchera, dense clumps of Armero, gentle alpine aster, primroses, primula, crocus beautiful for autumn. At the foot planted plants that grow like a rich soil saturated with water and are not afraid of shading. The lower tier and is reserved for the placement of tree and shrubs. 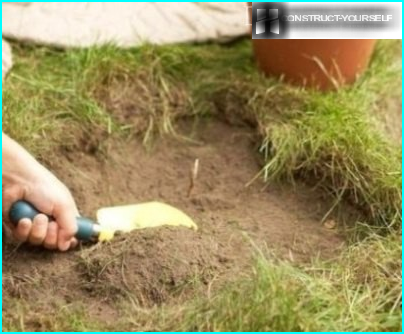 Often this part of the slides are placed group planting miniature dwarf conifers, rhododendrons.